Graduated from the Conservatorio Superior de Música in his native Granada. With and despite this unique knowledge, Pablo remains without a doubt first and foremost a Flamenco pianist – but one with a richness and depth of musical knowledge that is revolutionary to Flamenco and reaches far beyond that of any other Flamenco pianist, and indeed, far beyond that of most Flamenco musicians on the whole. This makes Pablo not only a magnificent pianist and performing artist, but worthy of the title compositor. Gypsy tradition and jazz is hardly new, but Maldonado’s compositions take it to a new level. In a memorable sequence, Maldonado’s tinkling high notes played off the dancer’s rhythms. was flamenco distilled to its essence, sober and enthralling. 2010. Composed the music for a video “La danza de los pinceles” directed by Charles Olsen, prizewinner of the the first Flamenco Film Festival organised by deflamenco.com. 2007. Winner of the Award for Best Flamenco Composition at the Tenth Annual Dance and Choreography Competition in Madrid, Pablo Rubén Maldonado, described by the Washington Post as a ground-breaking artist and charismatic performer, is one of the most sought-after Flamenco musicians of his generation. Pablo also has a wide experience in teaching flamenco workshops all around the world. Con apenas cuatro años, Pablo comenzó a dar sus primeros pasos en el mundo de la música de la mano de su padre, quien le enseñó las primeras notas en el piano. Músico de raíces flamencas y de familia gitana, donde podemos encontrar a “Antonio Cujón”, fundador de la zambra granadina, Pepe Albaycín, carismático cantaor y en baile, al emblemático José Carmona y al también, bailaor ,coreógrafo y maestro, Mario Maya. Su bagaje musical se ha visto enriquecido con otros estilos como, la música afro-caribeña, pop, tango, funky o el jazz. Obtiene el reconocimiento de la crítica nacional e internacional con su primer disco y DVD,”Almanjáyar. 2012. Premio nacional FLAMENCO HOY 2011, por su nuevo trabajo discográfico “Fuera de la realidad”, como mejor disco instrumental. Luis Gallo, musician, composer and producer, born in Madrid in 1980. He has been working with media artists in different music styles and has also made live recordings for many TV and Radio shows such as XFactor, TVE es música, Fusion Sonora, Radio Nacional de España. Luis has also worked in international productions for the Teatro Real de Madrid (Spain), San Carlo di Napoli (Italy), Teatro Piccolo de Milano (Italy) among others. 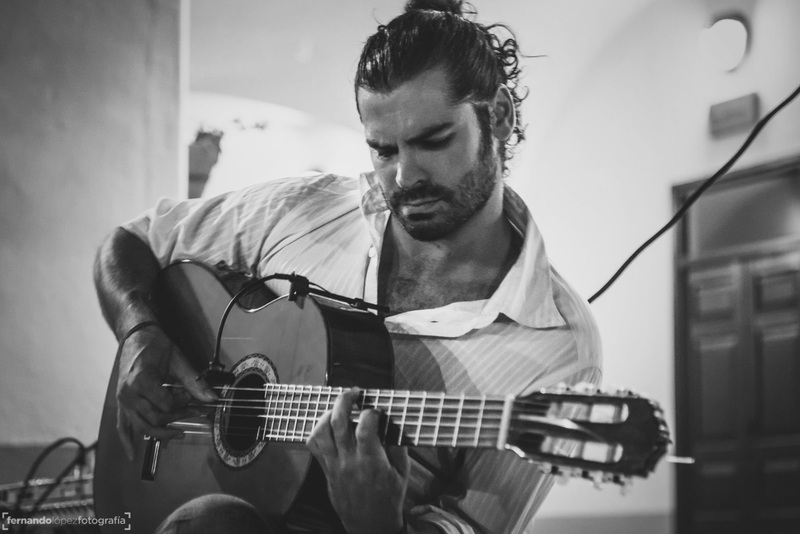 His music restlessness has involved him in an extensive disclosure of Flamenco music, either in music children projects and TV shows as well as playing in projects in between Jazz, Flamenco and Classical music. Luis Gallo has been working together with artists such as Ara Malikian, Jorge Pardo, Pablo Ruben Maldonado, Torsten de Winkel or Vasko Vassilev, playing in some of the most renown international music stages and festivals (Teatro Real de Madrid, Helsinki Universal Guitar Festival, Madrid Jazz Festival, Vienna Flamenco Festival, Festival delle Nazioni, Auditorio de Lleida, Kursaal de San Sebastián and many more). Beside his dedication in international workshops, it must be highlighted his 6 years of touring with one of the best violin players in the world, Ara Malikian, with whom Luis Gallo just recorded a live album in Teatro Real (Madrid, Spain). He also makes collaborations as a soloist artist for the Covent Garden Soloist Orchestra, from London Opera House. As a documentary music composer he works regularly with different European production companies. Furthermore, he collaborates as endorsee with Godin Guitars and D´ addario strings. Madrid Underground Flamenco is his last proposal, a power flamenco jazz quartet that understands Flamenco as a cultural integration element. Luis Gallo, músico, compositor y productor, nace en Madrid en 1980. Ha trabajado junto a artistas mediáticos de diversos estilos musicales y realizado grabaciones en directo para televisión y radio (Factor X, TVE es música, Fusión Sonora, RNE). Ha colaborado en producciones internacionales para el Teatro Real de Madrid, el San Carlo di Napoli o el Teatro Piccolo di Milano entre otros. Su inquietud musical le ha involucrado en una intensa labor de divulgación musical en proyectos orientados al público familiar, así como a formar parte de proyectos entre el flamenco, el jazz y la música clásica junto a artistas como Ara Malikian, Jorge Pardo, Pablo Ruben Maldonado, Torsten de Winkel o Vasko Vassilev, tocando en algunos de los auditorios y festivales internacionales más importantes (Teatro Real de Madrid, Festival Universal de Guitarra de Helsinki , Festival de Jazz de Madrid, Festival Flamenco de Viena, Festival delle Nazioni, Auditorio de Lleida, Kursaal de San Sebastián). Además de su faceta como docente en workshops internacionales destaca su trabajo con Ara Malikian, junto al que lleva girando mas de 6 años y sus colaboraciones con la Covent Garden Soloist Orchestra de Londres. Como compositor trabaja habitualmente con distintas productoras europeas de documentales. Su última propuesta internacional es Madrid Underground Flamenco, un proyecto de difusión del flamenco como elemento integrador de culturas. Jorge Is a percussionist and Drummer graduated in Berklee College of Music, Jorge is a composer, arranger and producer of CDs and DVDs. And finally, Jorge is a Youtube phenomenon with more than 18 million hits in his videos so far. Jorge Pérez, was born in Boston, U.S.A in 1979. He was raised in Madrid where he studies percussion. Between 1998 y 2003 he studies at the Escuela De Música Creativa in Madrid, where some years later he would become a teacher. In 2004 he starts working professionally with bands of the jazz and fusion scene is Spain such as Mojo Project, La Chuma Segura Hot Band, La Calle Caliente y and artists as Jerry González, Caramelo, Pepe Rivero , Aláin Perez or Emilio Valdés. Jorge becomes one of the most demanded young players in the Spanish jazz scene, and also one of the very few percussionist that doubles professionally in drums, instrument that he studies with Carlos Carli, and Yayo Morales. In 2008 Jorge receives a Scholarship from the Berklee College of Music, in Boston where he will live several years. In 2011 Jorge finishes his studies at Berklee, obteining a Major in Performance. During his time in Boston, Jorge is chosen by jazz masters such as Danilo Pérez, Joe Lovano or John Patitucci, to be in the elite program Berklee Global Jazz Institute. He has played in international Jazz Festivals as Newport 2010, Monterey 2010 with the global Jazz Institute and Panamá 2011 with the Daniel García Trio, with Daniel García and Alain Pérez. 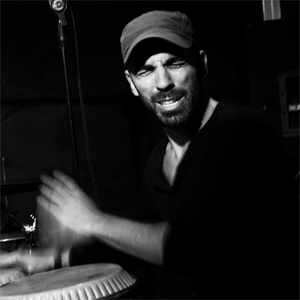 Jorge has given percussion lessons in the Berklee’s Rhythm Club and clinics at the Panama Jazz Festivall 2011. In 2014 Jorge gives seminars and masterclasses at the International Festival of cajón, in Perú. In the writing field, Jorge has released four albums with the band that he leads, Patax. : His first album as soloist and composer ̈ Patáx ̈ is released in 2008. His second work ̈Forced Emancipation ̈ comes out in 2009, featuring Chilean singer Nicolás Majluf. His third album , ̈ From The Boiler Room, ̈ was released in Marzo 2011, and has been published by record label AYVA, joining a list of artists as Alain Pérez and Esperanza Spalding. In 2011 Jorge produces and releases his first cd/dvd, ¨Live From Infinity¨, with guests such as Alain Pérez, Jorge Pardo, Israel Sandoval or Antonio Serrano. This album is released with Youkalimusic records. In 2012 Jorge becomes a faculty member of the Escuela de Música Creativa of Madrid. In 2013 Jorge becomes endorser of Meinl percusion and California Drums. 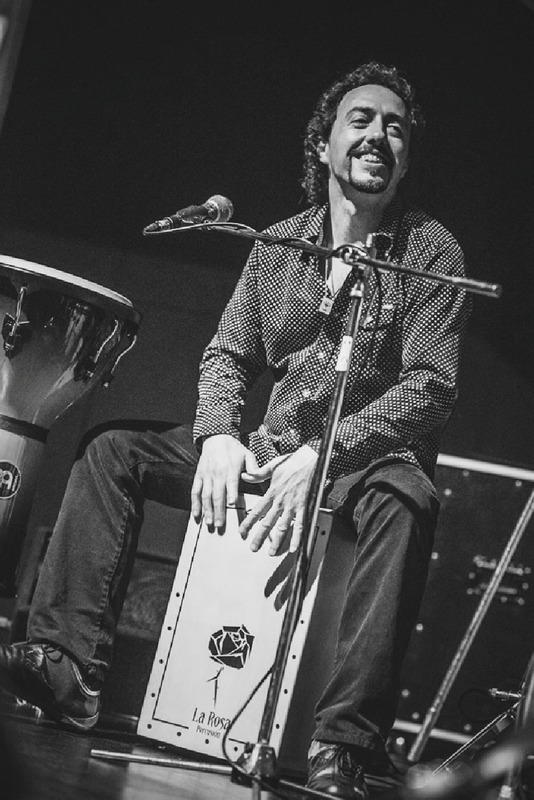 Born in Cartagena, 1973, Guille is a cajon Maestro, who has been teaching all around the world and played in the most important flamenco Festivals. His musical training started at the Conservatory of Cartagena (Murcia). Besides teaching and playing, Guille has published in the bimonthly magazine “Flamenco” as head of the percussion section. 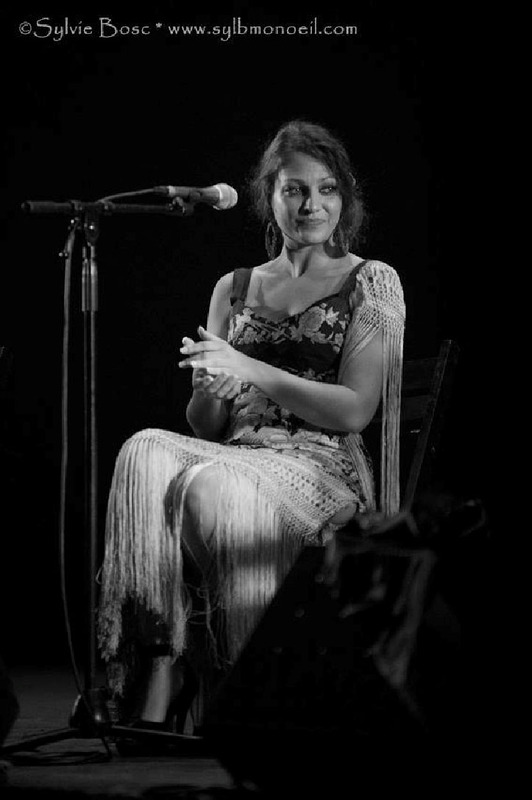 Artistic Director of the Festival “Days of Flamenco 1st Tres Cantos” (Madrid). 2014 Address of “The Day of the drawer” and the “Great cajoneada” in tribute to Paco de Lucia and Rafael Santa Cruz LIV at the International Festival of Cante de las Minas de La Union (Murcia). 2012 – Present. Project Director: “Flamenco Laboratory” where students work with musicians such as Jorge Pardo, Diego “El Cigala”, Tomatito … etc. 2011 – Present. Creator flamenco lessons on-Line on You tube Cajón flamenco with over 2,000,000 views.